You officially have 9 days left to try the killer taco Girl & the Goat Chef Stephanie Izard whipped up for this month’s featured taco at Mercadito. Tacos for Strength is Share our Strength’s year-long campaign that invites chefs to concoct a taco of their choice to be offered for a month at Mercadito locations in Chicago, NYC and Miami. Even with turkey, turkduckens or other Thanksgiving usual suspects in your future this week, it’s worth a stop in for Izard’s smoky, creamy delicious duck-fat braised chicken with fermented black beans, olive tapenade and avocado crème topped with smoked tomato salsa and shaved brussels sprouts. Just like all of Izard’s dishes, the combo is creative, colorful and perfectly balanced with the flavors of smoky tomato, crispy juicy chicken and cooling avocado cream on a flour tortilla lingering on your palate long after the last bite. Next up, Jimmy Bannos Sr. and Jr. will offer up a (Cajun?) 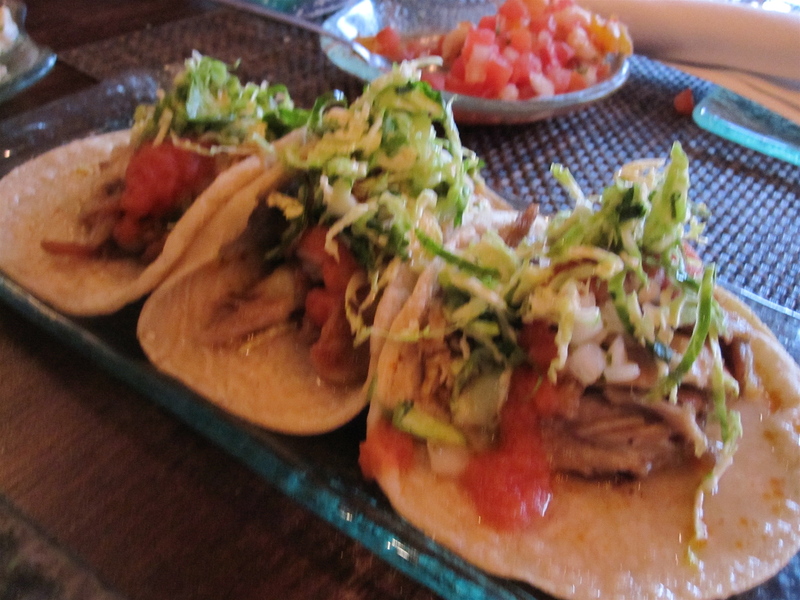 taco for the month of February 2011, and chef Ryan Poli of Perennial will be on taco duty next April. Check out the whole list here.